MOMAK or the National Museum of Modern Art, Kyoto was first opened on its current site in 1963. Originally named as the Annex Museum of the National Museum of Modern Art in Tokyo, it changed its name in 1967 after being granted from the city. Its original building was once the auxiliary building of the Kyoto Municipal Exhibition Hall for Industrial Affairs however in 1984 it was dismantled and the new building erected in its place. 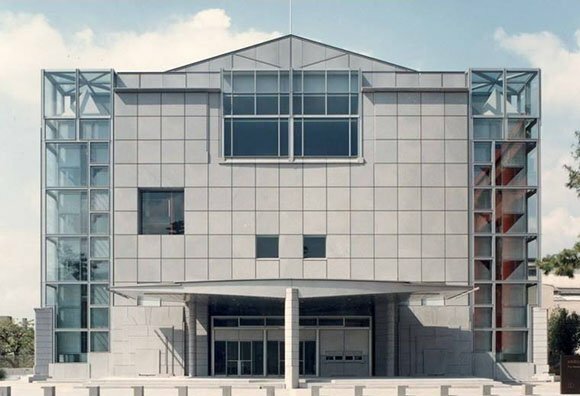 The museum in its current form was reopened in 1986 and is an institution which is devoted to the preservation and collection of art and reference materials relating to Japan in the 20th century and across the world. There is a clear emphasis on artistic movements and artists in the Kansai and Kyoto areas including the Japanese style paintings from the Kyoto School, although mainstream modern craft and art movements from Japan and the wider world are also covered. The works in the Collection Gallery are rotated around 5 times annually, with themed sub-exhibitions which synchronize with the exhibition currently on display. There are also 5 travelling and special exhibitions held every year. Educational programs and workshops are also held in the Collection Gallery.